The Hollywood Bowl is a modern amphitheater in the Hollywood area of Los Angeles, California, United States that is used primarily for music performances. It is the largest natural amphitheater in the United States, with a seating capacity of nearly 18,000. 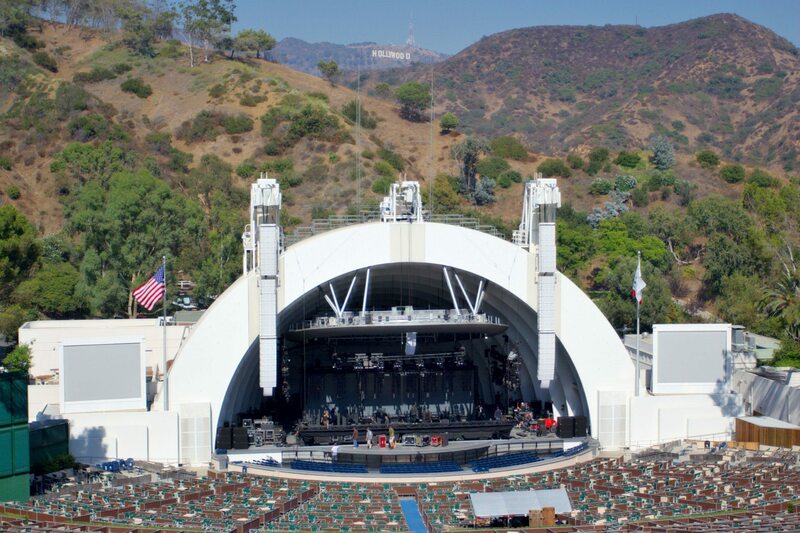 The Hollywood Bowl is known for its band shell, a distinctive set of concentric arches that graced the site from 1929 through 2003, before being replaced with a somewhat larger one beginning in the 2004 season.